Zohar Kfir is an artist working with experimental video, interactive art, and installation. She has shown her work internationally at galleries and video festivals. Zohar received Media Arts Canada Council for the Arts and Vivacité Montréal grants to develop her latest project, Points of View - an interactive web-based documentary art project, which explores Palestinian life stories and events. 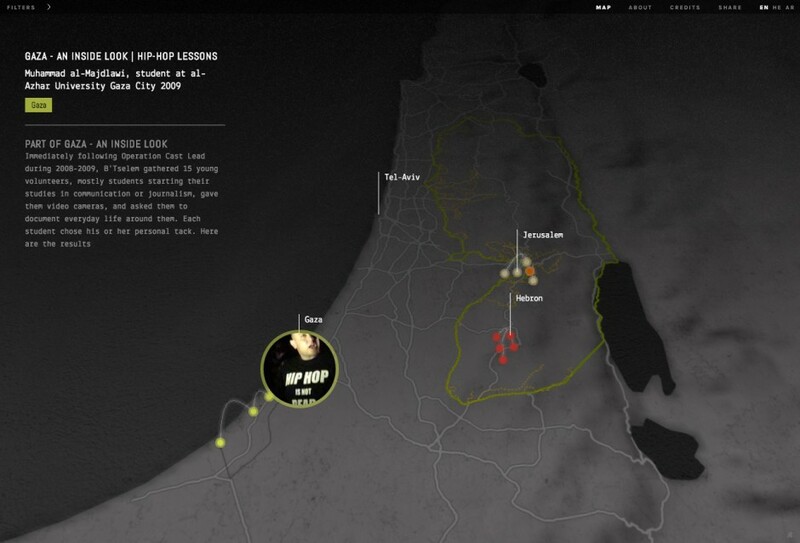 The basis for this project is video footage from B’Tselem’s advocacy project, The Camera Distribution Project.